Wood Working Lathe Machine Manufacturer is one of the India’s leading Lathe Machine Manufacturer and Exporter. It is producing and exporting high quality Lathe Machine to all over the world. These multipurpose lathe machines feature simplicity, robustness and longer working life. We feel proud to introduce ourselves as one of the well-known manufacturers and suppliers of Woodworking Lathe Machine. 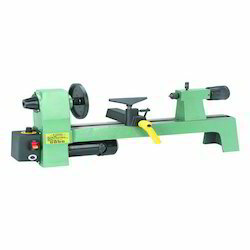 The offered wood working lathe machine is specially designed and fabricated for shaping and cutting wood pieces. Our supplied wood working lathe machine is sturdily constructed for delivering high performance in cutting operation.